Guide the chicken across the road while you eat worms. Similar to the Frogger classic. Guide your chicken across the roads and rivers with your arrow keys to get all the worms. The more levels you reach the more worms you will need to find in order to get to the next level. Game name: Why Did The Chicken Cross The Road? If you want to play Why Did The Chicken Cross The Road? games online you have come to the right place! 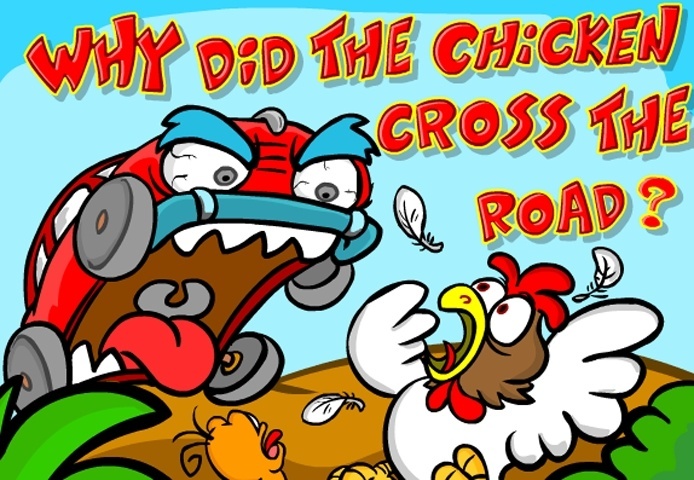 GamesLoon adds new Why Did The Chicken Cross The Road? games every week. This is your game portal where you can find the biggest collection of free Why Did The Chicken Cross The Road? games online. Do not forget to rate our Why Did The Chicken Cross The Road? free online games while playing!